Cruciferous vegetables are vegetables of the family with many genera, species, and cultivars being raised for food production such as cauliflower, cabbage, garden cress, bok choy, broccoli, Brussels sprouts and similar green leafy vegetables. They are high in vitamin C and soluble fiber and contain multiple nutrients and phytochemicals and antioxidants. Research has linked cruciferous vegetables to preventing cancer, and naturally detoxifying estrogen dominance that is linked to hormone imbalances and weight gain. Incorporating a variety of cruciferous vegetables into your daily diet will deliver the health benefits listed above. For optimal health 9-11 servings of vegetables and some fruits are recommended daily, try to have at least 2-3 of those servings cruciferous vegetables. 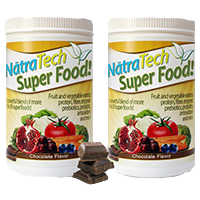 If you are not able to get in your servings of vegetables every day supplement with a super food shake, my favorite if the Natratech’s shake, if has extracts from the most nutritious fruits and vegetables. Avocados are a natural source of heart healthy fats, potassium, fiber, and B vitamins. This nutrient profile promotes overall health by increasing your body’s ability to absorb fat soluble vitamins that may not be absorbed optimally on a low fat diet. Avocados also keep people feeling full for a longer period of time due to the high quality fats. This reduces carbohydrate and sugar cravings typically resulting in an improved ability to manage one’s weight, while meeting the guidelines of the popular low carbohydrate diets such as Adkins or the Ketogenic diet, it is also approved on the Paleo or Whole30 plan. The healthy fats are also anti-inflammatory, reducing risk for heart disease, improving cholesterol and triglyceride levels and reducing risk for hypertension. In addition to heart health avocados can improve eye health, they contain carotenoids lutein and zeaxanthin, which have been linked to reducing onset of macular degeneration and cataracts. Consuming 1 avocado per day in your shake, on your salad or alongside your eggs is optimal for experiencing the health benefits listed above. Bone Broth- A study regarding the healing powers of chicken soup shows that the amino acids produced during the process of making the soup reduces inflammation specifically in the respiratory area, it has been shown to improve* the overall immune system and reduce symptoms of asthma. Remember that store-bought soups do not typically have the same health benefits of homemade broth. Big soup companies make broth from artificial ingredients that only taste like broth but contain harmful preservatives. 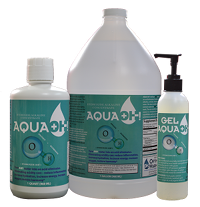 The compounds include collagen, proline, glycine, glutathione and glutamine. The minerals in the bone broth that are released are in a form that is very easy for the body to absorb, as compared to supplements which are not as easily absorb because the body has to break them down. These minerals include calcium, magnesium, phosphorus, silicon and sulfur to name a few. Additional compounds include chondroitin sulfate and glucosamine, these may sound familiar if you have ever taken a supplement for joint health. Bone broth also improves the elasticity of skin and can rebuild and repair the inner walls of your gut if you have leaky gut syndrome. 1-2 cups of bone broth per day can yield these results.